Tired of sacrificing glamour for digital accessories? Now you can have both: fashion and cool technology. HP and Vivienne Tam present the world`s first designer digital clutch: the Mini 1000 Vivienne Tam Edition. 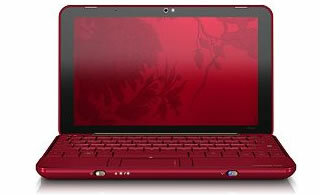 The new HP Mini 1000 Vivienne Tam is now available for purchase. It brings the Web and your favorite content to your fingertips, and connect with more people in more places while you`re on the go. 10.2 inch netbook features an Intel Atom N270 1.60GHz processor, 1GB DDR2 RAM, 16GB solid state drive or 60GB hard drive option, 3-cell battery, Windows XP Home OS and a 1,024 x 600 resolution LCD display with LED backlight. There are also an integrated webcam, built-in stereo speakers, Wi-Fi and Bluetooth connectivity, an Ethernet port and support for Verizon or AT&T mobile broadband. Pricing starts from $699.99 upwards, depending on the specs that you choose.